Don’t feel bad, with legalization, there a lot of people just learning about buying pot for the first time. We have to be there to help them along. When it comes to Americans, we just have to do things our own way. We make up our own systems of government, our own version of a language, and use our own units of measurement. 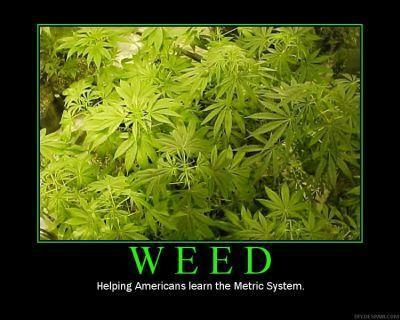 For a large portion of us, marijuana is the only way we will ever learn to understand the metric system! 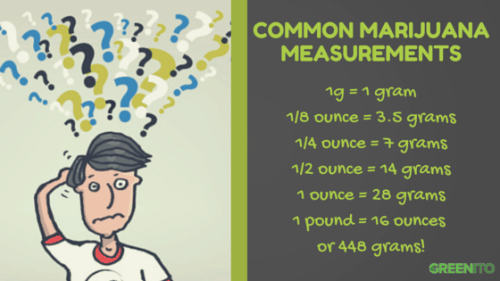 Marijuana is bought and sold by weight, and since even a little is precious, users have broken standard units down by metric scale for most of modern cannabis history. The law also as a role to play, as the difference between a few grams and over an ounce means a lot in legal statutes on the plant. It is important to know how much each one amounts to, as well as what each one usually costs, otherwise, you might just end up getting swindled. If you go to buy some weed, you want to get the most for your budget. If your friend starts using words like dime, dub, half, O, Z, and lid, you usually end up with a headache unless you are familiar with what those words mean. Don’t feel bad, with legalization, there a lot of people just learning about buying pot for the first time. We have to be there to help them along. *Lid: A term you will only hear from older smokers or in movies, it means about 21 grams, or enough pot to fill a large Helman’s Mayonaise jar lid. Commonly mistaken for meaning an ounce. Half a gram is about enough to roll a standard joint. A full gram is enough to roll a blunt. It is hard to find people who still sell is such small quantities. The standard unit of sale in most of the nation is an ounce. It is also the personal possession limit in most legal states, and the difference between a misdemeanor and a felony in other states. In non-legal states, weed generally costs more, because of the inherent risk of being caught, especially for someone dealing, since they have to hold onto large quantities and wait for customers to buy it. In recreationally legal states, you can get some high-quality herb for $200 – $250 dollars. In non-legal states, especially with high populations, like New York, you are looking at $300 – $350 for the same amount. 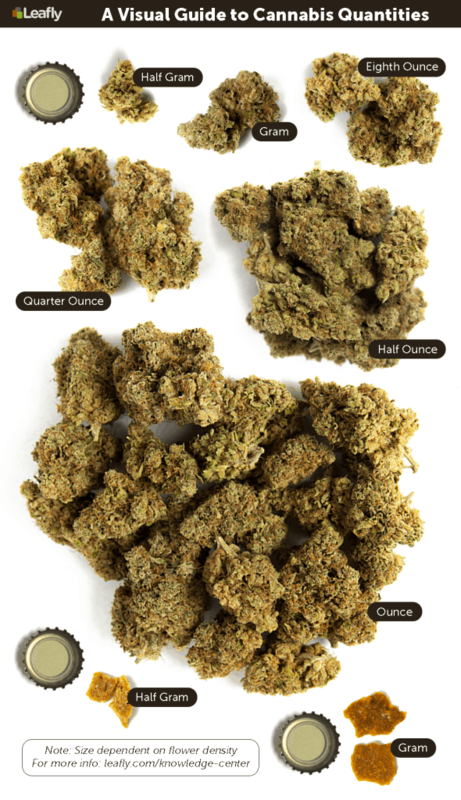 When it comes to concentrates, they are smaller and more potent than the equivalent amount of raw bud they represent. A full ounce, or 28 grams of good weed will make only 2 – 6 grams of concentrate dab. This is great for getting high, but the price gets stronger as well. Dab-able concentrates can go from $20 – $100 dollars a gram. That is why legal weed is the new gold rush, because concentrates are worth more by weight than gold! The picture above is a sheet of concentrate weighing 300 grams! Liquid oils, like Rick Simpson oil used to treat many medical marijuana patients, can run about $25 dollars a gram, and an ounce of raw bud will make about 3-4 grams of oil. As for tinctures, an eighth of raw bud will make about 30 – 34 doses of tincture. A bottle of about 100 drops costs around $20 dollars. When it comes to Cannabutter, used for making edibles, you can make a lot of butter from a little weed. One THCTalk forum member was able to make half a pound of high-quality cannabutter from merely a half ounce of weed. Most users make their own butter, but you can buy a 1/2 ounce jar of high-quality cannbutter from top THC chef Julie Dooley for $35-$30 dollars. Costs can vary from town to town and state to state. What does a few grams of dab cost where you are? Share with us on social media or in the comments below.